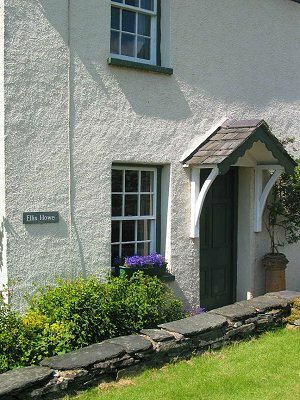 Ellis Howe offers beautiful 4 Star luxury self catering accommodation in the heart of ‘Swallows and Amazons’ and Beatrix Potter country in England’s Lake District National Park. It is located in Torver close to Coniston. The Lake District now proudly boasts the title of the UK’s Most Romantic Destination! This delightful Lake District cottage dates from the 18th Century. 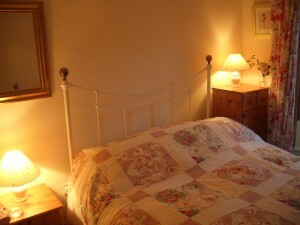 It is tastefully and comfortably furnished for up to 5 people but can also be a cosy romantic retreat for two. The cottage enjoys superb views of Coniston Old Man and the surrounding peaks and fells. This quiet country cottage is secluded but not isolated and offers a peaceful retreat away from the busier areas of the Lake District. It has the added advantage of having easy access to the popular attractions of Coniston, Ambleside, Hawkshead,Windermere and Keswick. It is an ideal base for exploring and enjoying the delights of the Lake District or for a special relaxing holiday. Ellis Howe is a late 18th Century period cottage and has many original architectural features such as flagged floors, window shutters, ceiling hooks, original latched doors ,window seats and ceiling beams which give it a distinctive and homely feel. Tastefully and sensitively appointed,there are Laura Ashley furnishings and it is decorated with Farrow and Ball colours throughout. The cottage is very comfortably furnished with double, twin and single bedrooms – all with luxury mattresses, duvets and quilts. The living room features an AGA multifuel stove. The room provides a cosy retreat at the end of a long day on the fells or just to be snug on a cold night. Electricity, heating and fuel are included. The cottage has a wide range of entertainments such as LCD SmartTV/DVD, Freeview,WiFi/Broadband, DVDs, CD player, CDs,games, books, maps and local guides- just in case the weather is wet! As luxury Visit Britain 4 Star self catering accommodation, Ellis Howe has a fully equipped kitchen for guests who love to cook, but for those who prefer eating out there is a highly regarded pub/ restaurants within a short walk –the Wilson Arms . A particular feature of Ellis Howe is the large oak floored dining room with tremendous views looking out onto the slopes of Coniston Old Man. Watching the features and colours of the Old Man change with the weather is a relaxing and fascinating pastime! There is an enclosed cottage garden and terrace with garden furniture from which guests may enjoy the scenery and watch the wildlife. The terrace looks out to the Old Man and surrounding fells. The cottage is supplied with a good range of natural history books to help identify the local flora and fauna. The garden is visited by a wide range of birds- even a woodpecker comes to feed from the bird feeders. Sometimes an owl keeps an eye on the cottage. A heron fishes Torver Beck nearby whilst buzzards and hawks hunt overhead. There are many walks and climbs in the area which are accessible directly from the front door, from a gentle scenic stroll for the less energetic to challenging climbs for the fell climbing enthusiast. Ellis Howe offers the opportunity for a memorable romantic holiday in superb surroundings.